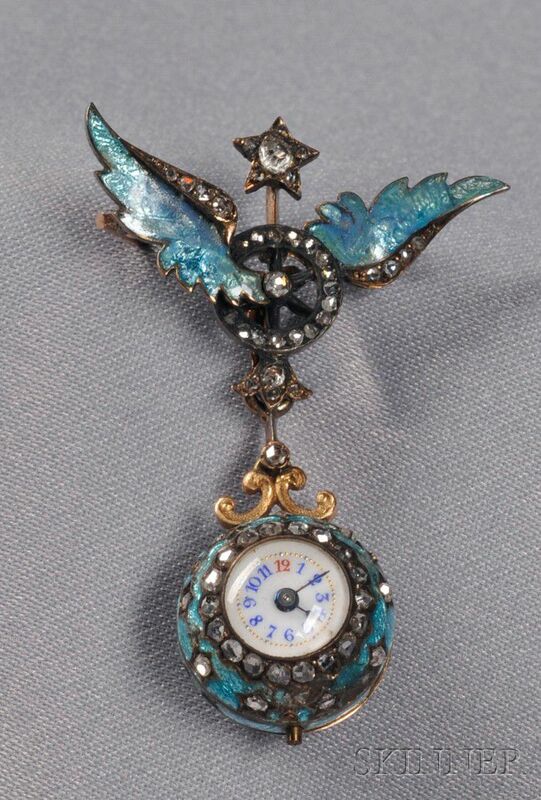 Antique Enamel and Diamond Pendant Watch, the ball watch with white enamel dial and Arabic numeral indicators, enclosing pin-set jeweled movement, rose-cut diamond bezel and star-set accents, suspended from a conforming winged watch pin, silver and 18kt gold mount, lg. 1 1/2 in., (losses, one paste). 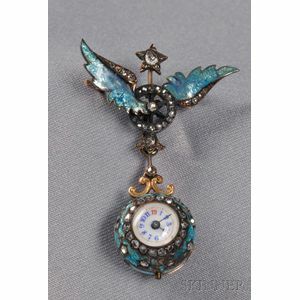 Star-set diamond in watch pin a paste. Case is silver and gold. Bezel wind, stem-set and the balance wheel does turn when wound, but it does not stay running. Areas of enamel loss to back in particular.